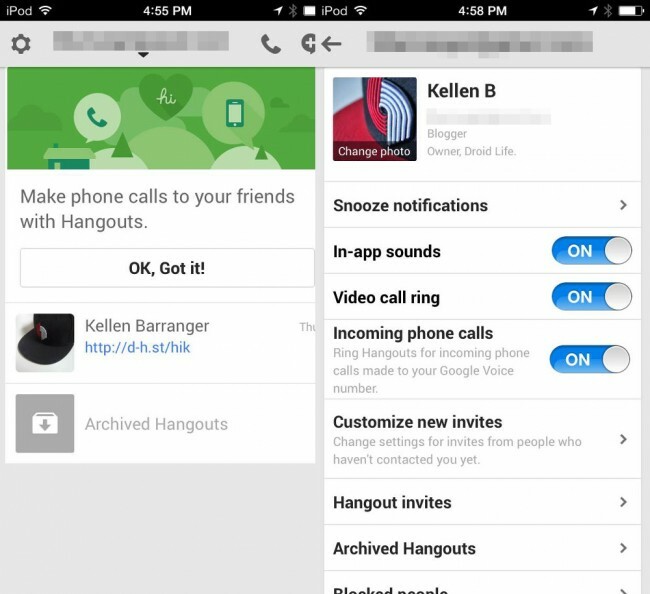 Not that I wanted to set you off on your weekend way with irritating news, but yes, the iOS Google Hangouts app just received an update that allows it to make and receive phone calls. The update doesn’t incorporate SMS or MMS or voicemail, but does allow you to place calls using your Google Voice number (should you have one) and receive them via Hangouts. We still don’t have this type of integration yet on Android, which is incredibly weird to say since again, this is from the company that controls Android. I just updated Hangouts on my iPod Touch to test it and really like how it works. It’s incredibly simple to use, especially if you already have a Google Voice number attached to one of your Google accounts. I didn’t even have to turn the service on in Settings, though I did check to see how it worked (pictured top right). Once I realized it was on and ready, I fired up a phone call from Gmail to my Google Voice number and it rang right through. 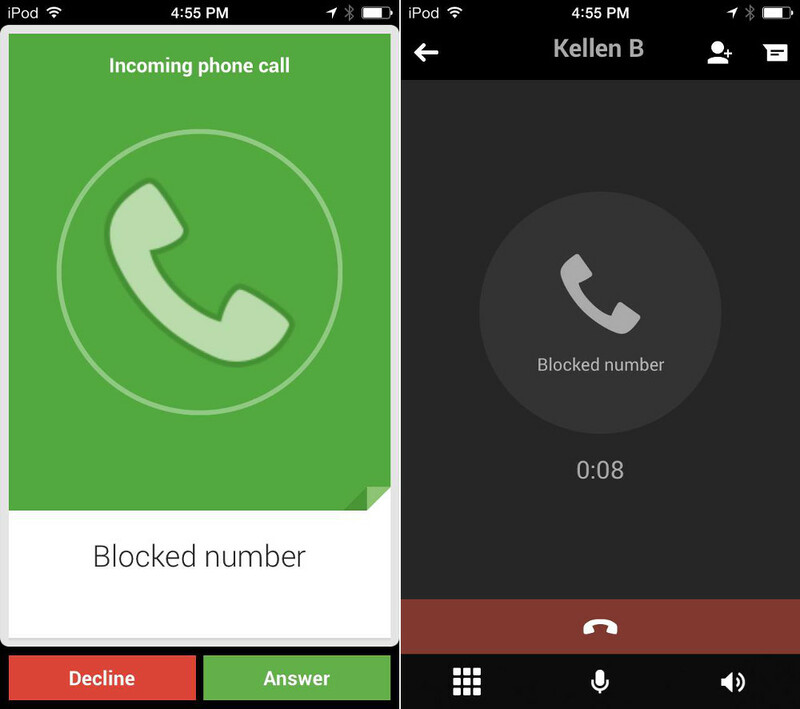 I then also placed a call using the new phone dialer icon (pictured top left). I’d imagine if this is ready for iOS that we should see it very soon on Android. But then again, maybe Google is waiting to push out Kit Kat before hand? Frustrating. I’d still imagine we may not see it until Kit Kat is unveiled. Hopefully, that’s only a few days or a week away.